After our dinner at the PCH grill, we walked over to the Grand Californian, and then on back to Disneyland. 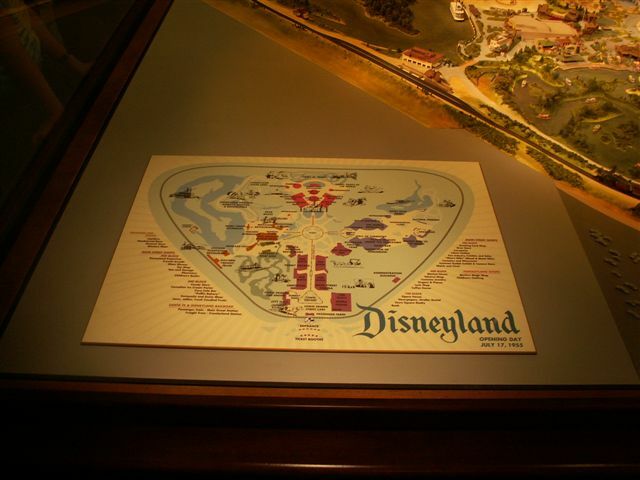 I had two main attractions that I knew I wanted to visit this trip that I had not yet visited. 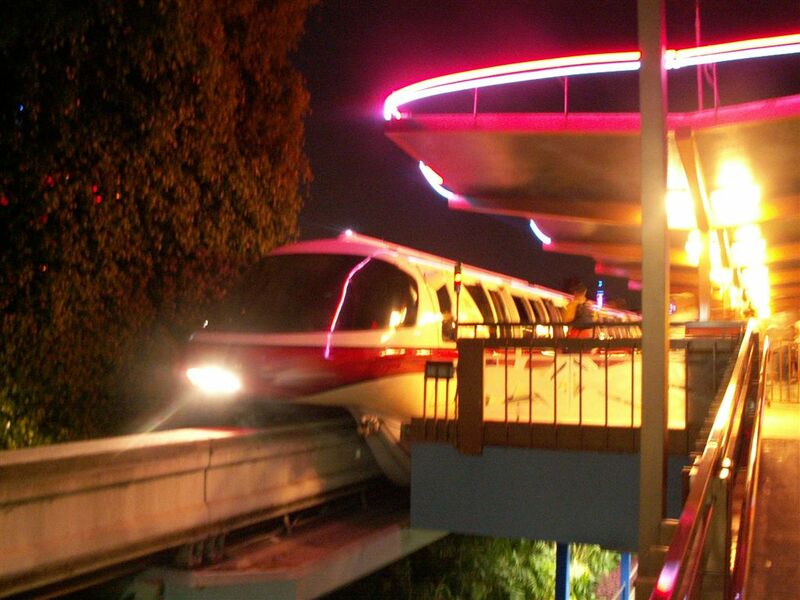 I wanted to see Disneyland: the first 50 Magical Years which is playing at the Main Street Opera House, and the Monorail. 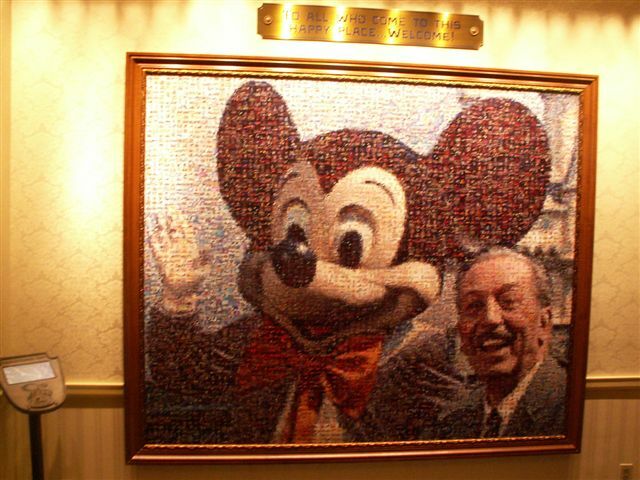 At the Entrance to the Opera house is one of those " Happiest Faces on Earth " photomosaics. 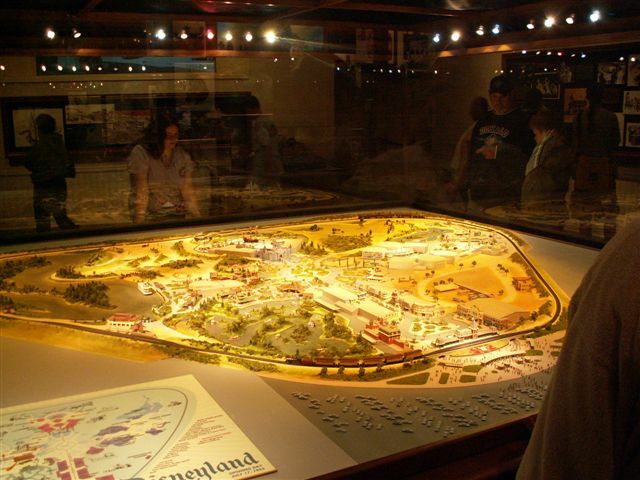 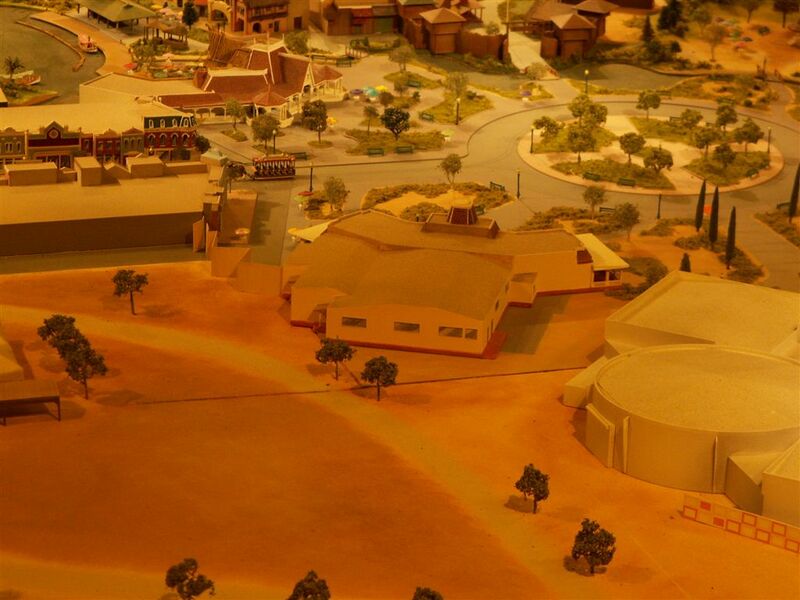 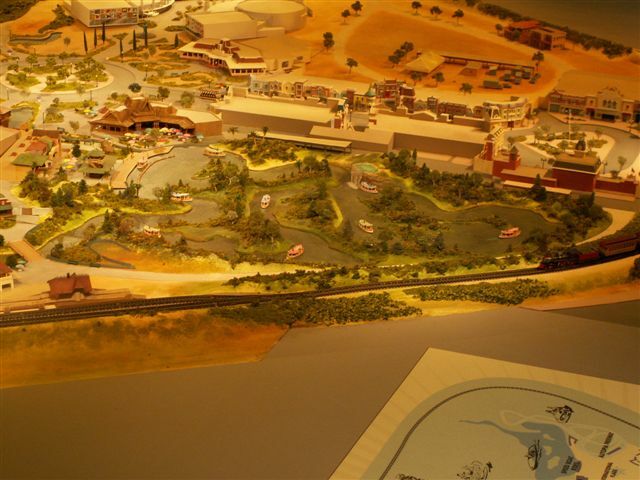 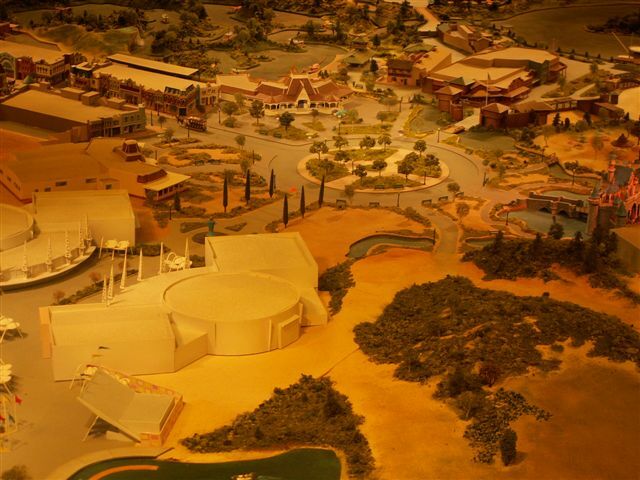 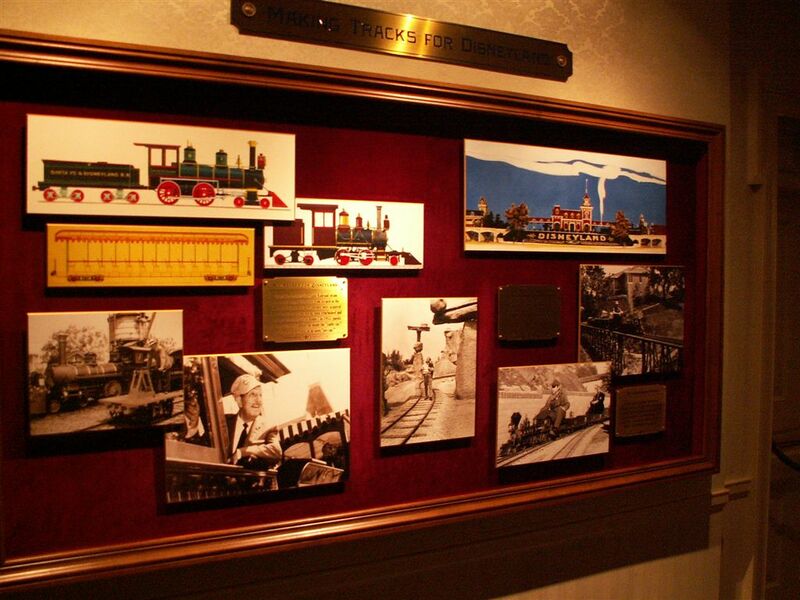 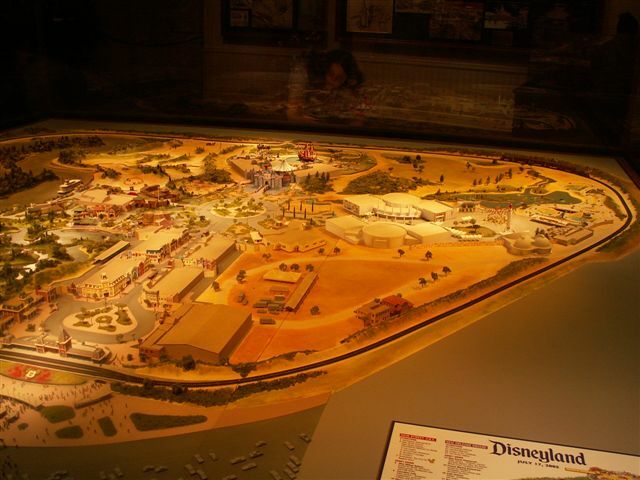 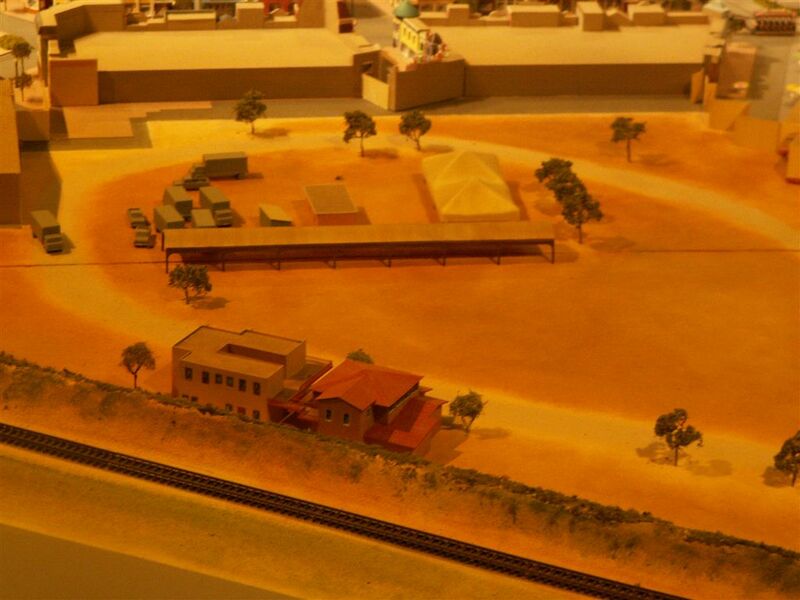 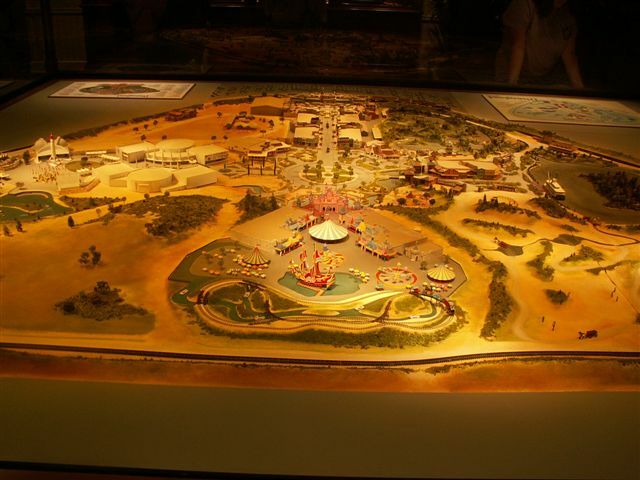 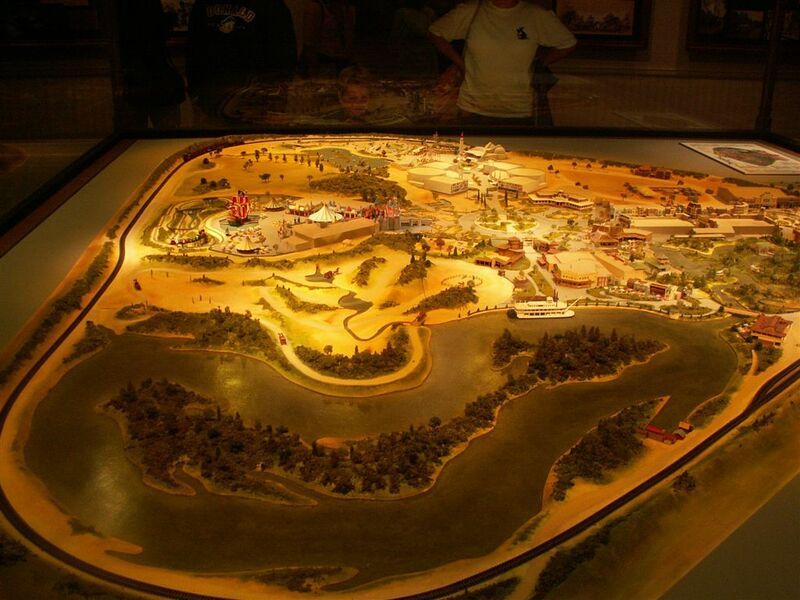 The old Walt Disney story section of the opera house is filled with display cases on Walt's interest in railroads,early plans for the park, the various lands, and one of a big model of Disneyland as it existed in 1955. 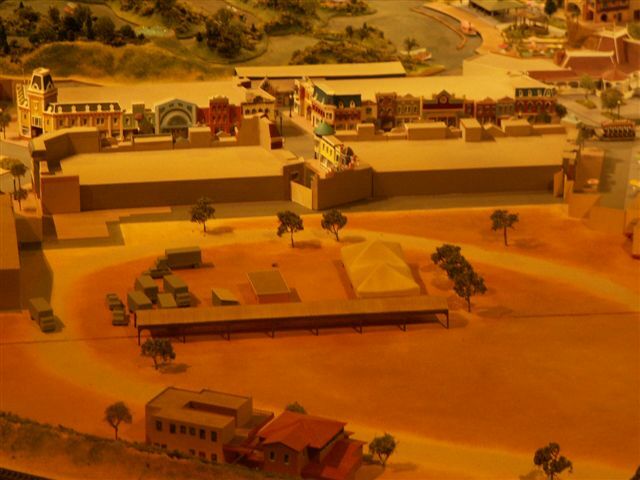 The portion of the opera house usually occupied by Mr. Lincoln is being used for a film presentation on the park narrated by Steve Martin (and Donald Duck). 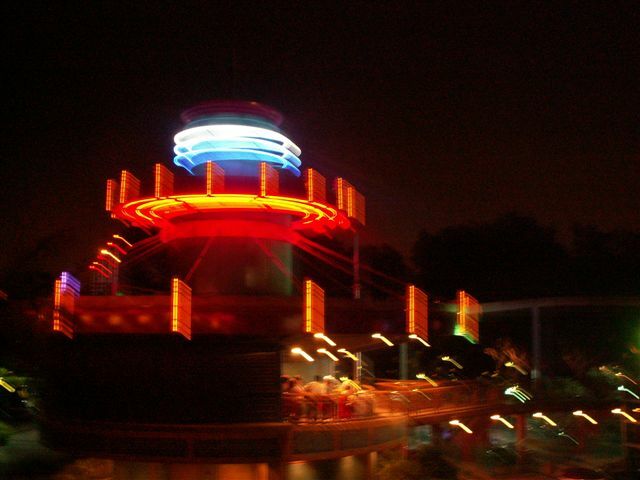 I enjoyed the film on Disneyland, but hope that after the celebration of Disneylands 50th Mr. Lincoln will return. 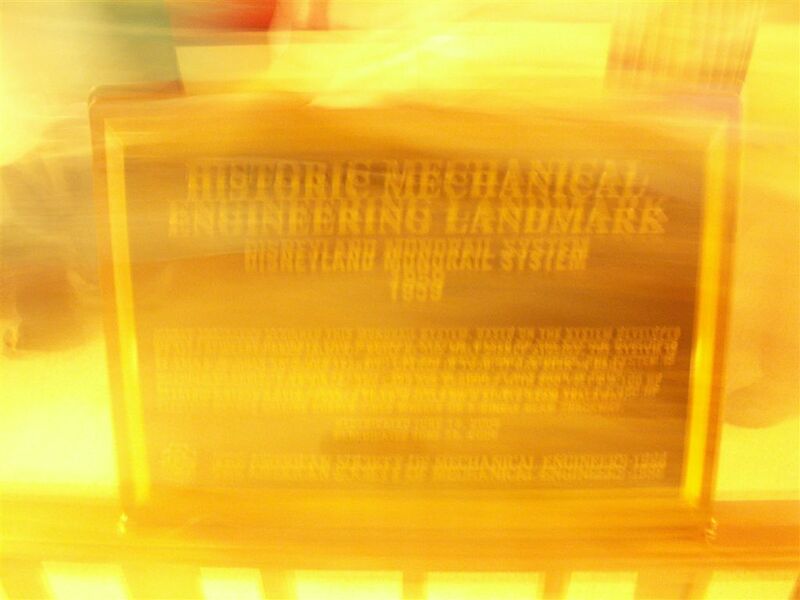 If I do go back to Disneyland before my annual pass expires I'll try to get photos of some of the other exhibits in the pre-film area. You're probably getting tired of seeing that mural by now, I think the night time shot of it on the 17th was probably the best of the ones I took of it. 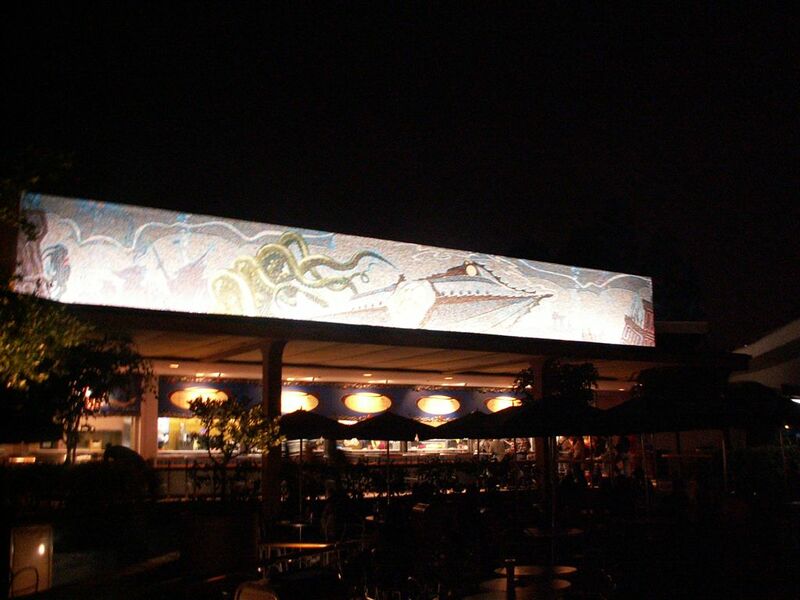 I think it is done in tile... if not, there is something in the style of it that reminds me of tile, which, to my way of thinking goes well with a nautical motif. 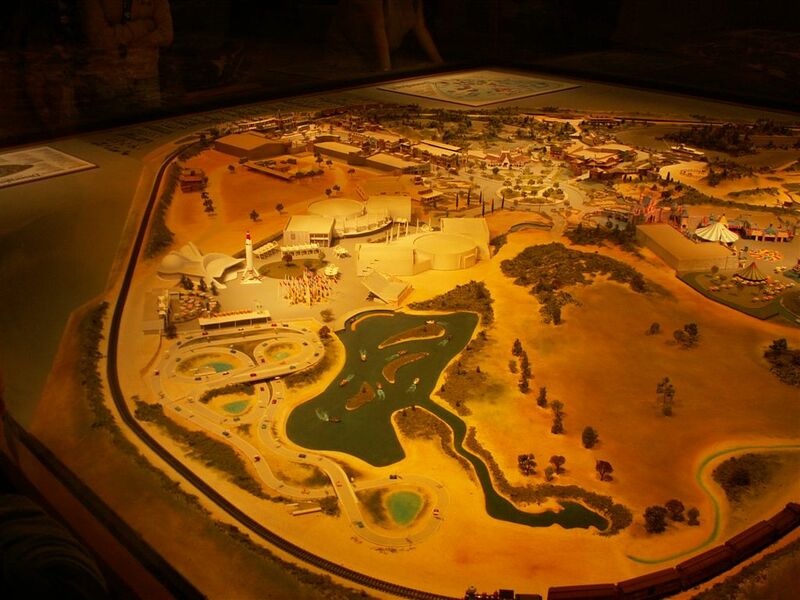 If for no other reason than tile is usually found near water (like in kitchens and bathrooms). 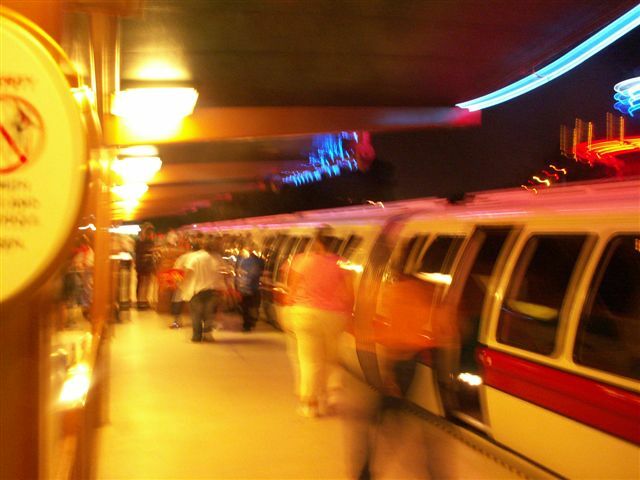 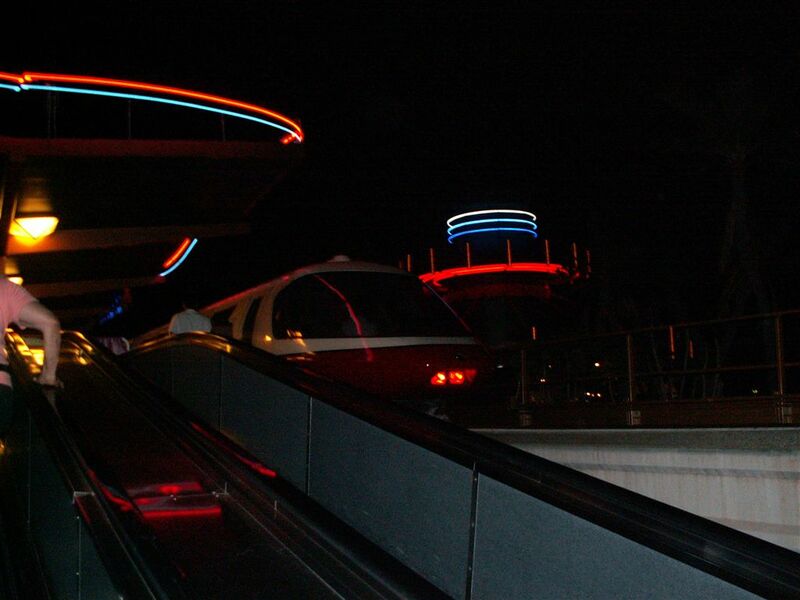 Our last ride of the trip was on the monorail, I also managed to get a few photos from the monorail while we were still in the station. 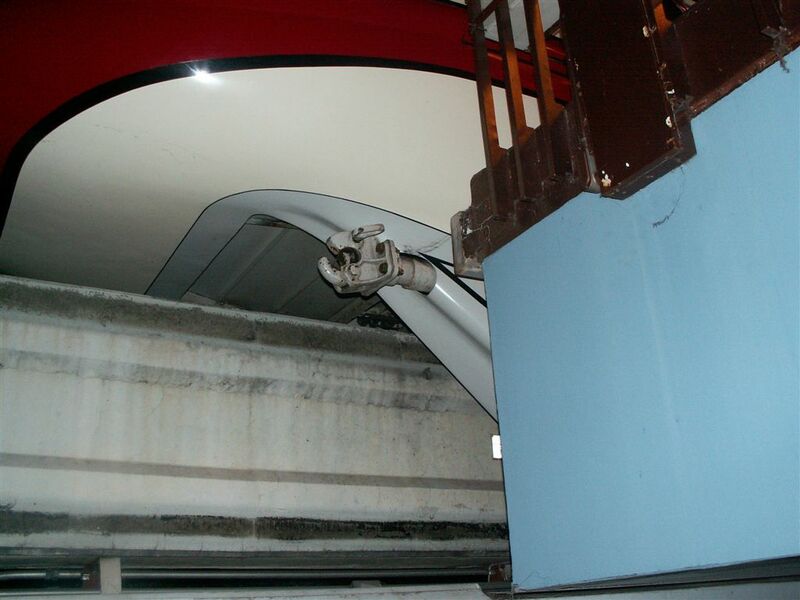 The photo above was taken for the guys on the DisneyMonorailToy yahoo group, one of the members of that group, , wrote that he was getting ready to begin work on a maintenance of way train, I replied with question that was a joke I said "Yes, but will it be fossil fuel powered? 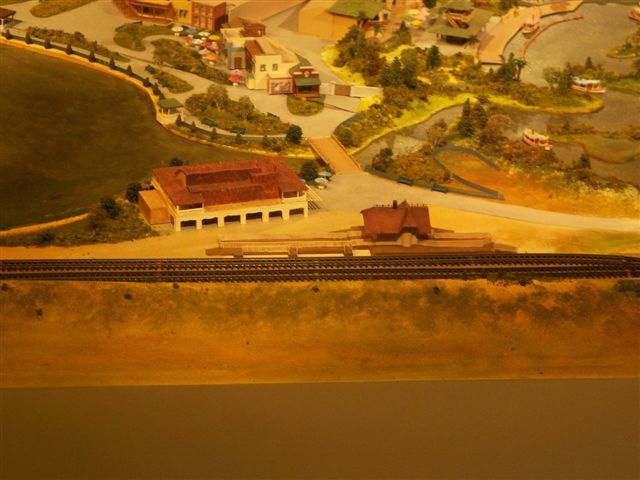 so that you can tow all your other trains when your batteries are dead " To which he replied " No, I don't have a working pintel hook on the front of my trains to hook to. " 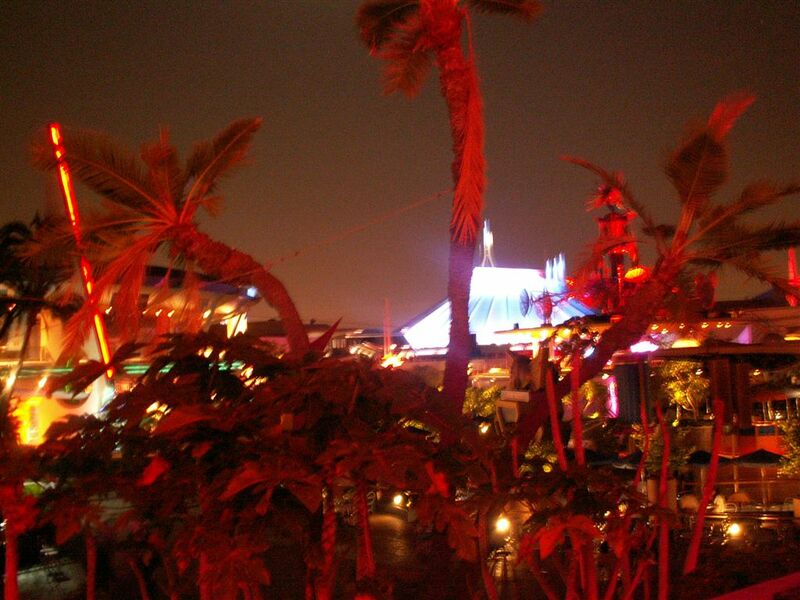 As soon as I read that I knew I wanted to get a photo of a pintel hook, so there it is.